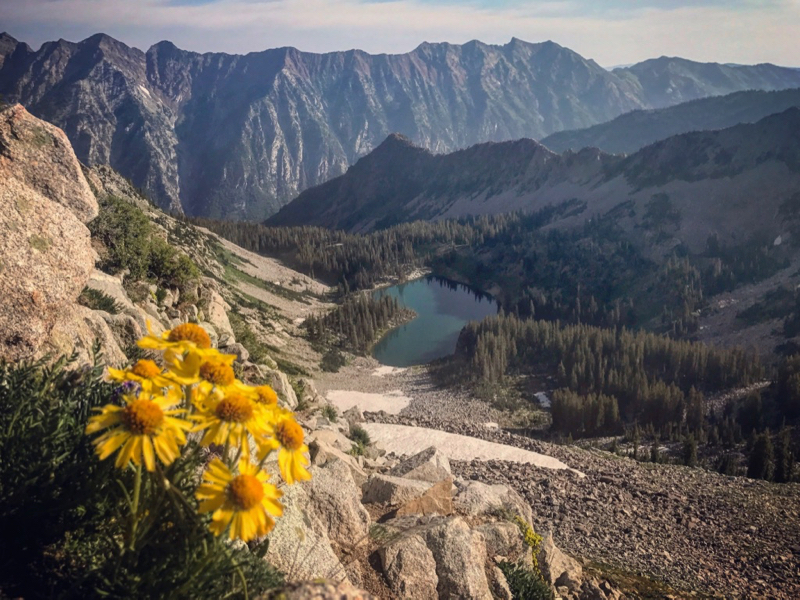 Lots has happened since my last Mojo – trips to Montana, a whirlwind CANADA tour, a pace gig at the Hardrock 100, Roo’s eye bludgeoning incident, and lots of wildflower Wasatch wanderings. I also got braces 4 weeks ago and literally want to rip my teeth out of my mouth. Pretty sure the only thing holding my teeth in my mouth at the moment is that little tiny wire. I can’t believe we put children through this. Will I ever eat solid food again? How do kids do this without beer? Lesson learned, do not do Speedgoat 50K nine days after getting braces on! This dog has Roo’s dream job. These two Aussies got to go to Switzerland so we’re trying to figure out how we can take Roo to the Dolomites in September. Although a vacation from my dog sounds wonderful. Sorry Roo. Speaking of Dolomites, I decided to spend the second week of my September trip in Scotland and I am stoked! My shortlist of things to do in Scotland: see Puffins, run around the Isle of Skye, take a boat to Outer Hebrides or Shetland Island, dance around fairy rings, drink beers in a pub until the wee hours of the morning, and be serenaded by bagpipes preferably on a Highland peak. I will also be running the Salomon Mamores Vertical Kilometer Race touted as an incredible leg burning and lung-busting ascent from sea level to summit. A white moose was spotted in Sweeden. « Hydro Flask Introduces New Wine Bottle!